I used the english muffin recipe from that is listed on our blog HERE. 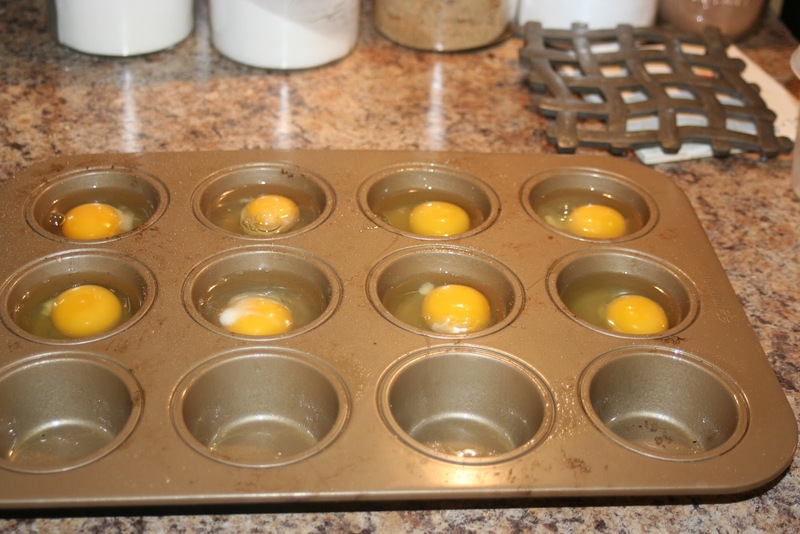 It made 11 muffins so I put eleven eggs in muffin pan. I cooked those on 350 for about 15-20 minutes. 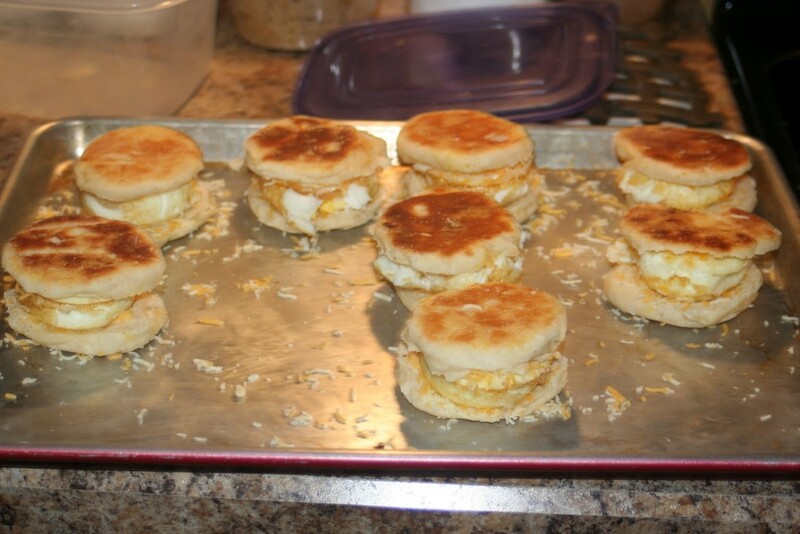 I sliced each of the muffins and put shredded cheese on it. Next time I would probably try cheese slices to see if that is easier. 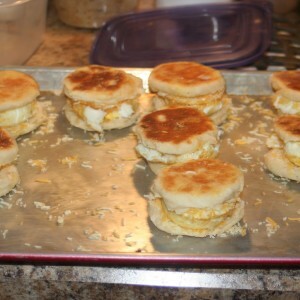 Once the egg was done cooking I put it on top and then the top part of the english muffin. Once they cooled some I wrapped each in plastic wrap and then put all of them in a freezer bag. When you want one take them out and put on a pan and cook in a 350 oven for about 20-25 minutes. 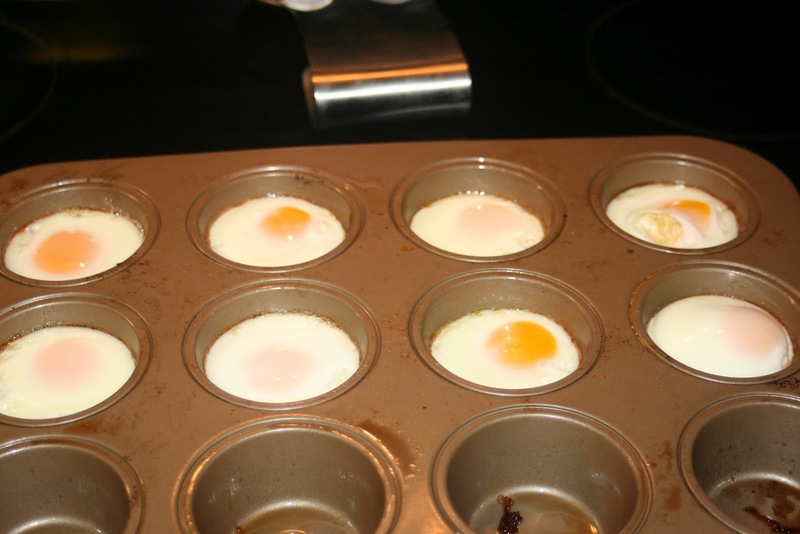 I will put them in the oven and then go shower and usually by the time I am ready to eat they are done.